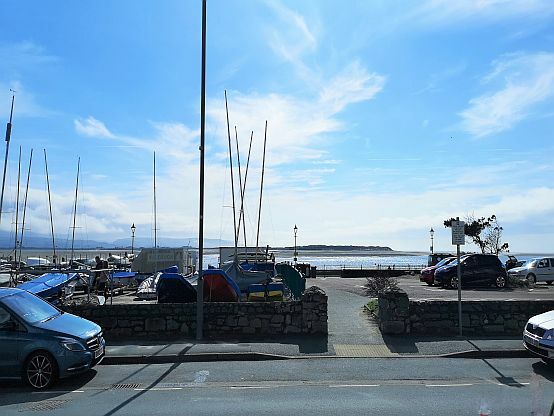 Aberdovey ground floor holiday home, new rental for 2019, conveniently situated opposite the golden sandy beach, a very sought after and central location! 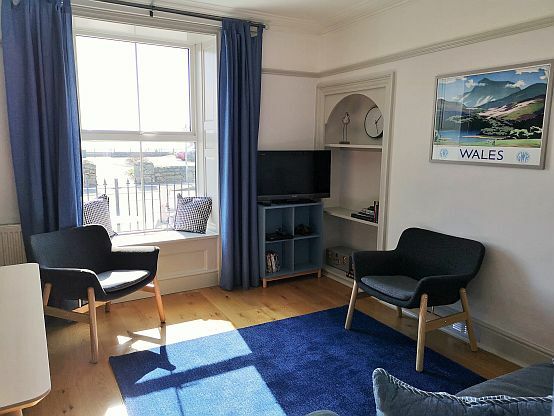 This newly refurbished Aberdovey Visit Wales 4* graded property offers outside seating on a private terrace at the front of the property, which is great place to watch Aberdovey (Aberdyfi) life whilst enjoying beach and sea views. 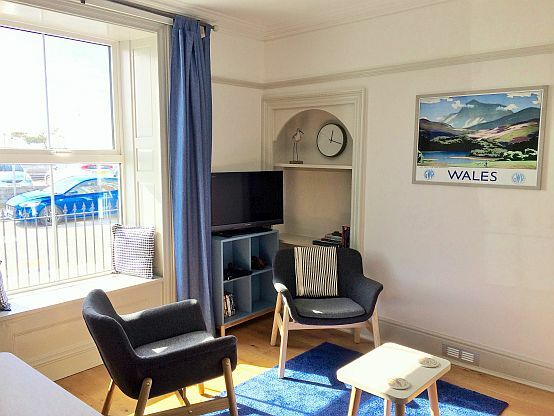 Otago 1 Aberdovey boasts a sunny, bright and airy sea view lounge, with comfortable sofa and two easy chairs, dining table and 4 chairs, TV and DVD Player and ample storage. 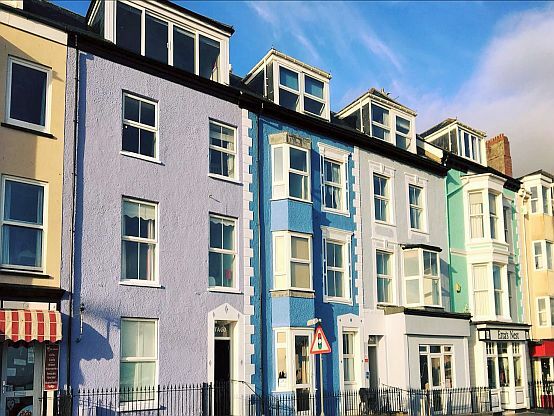 This Aberdovey self catering holiday rental sleeps up to four guests, by way of one double bedroom at the rear of this ground floor property, along with use of a double sofa bed in the lounge. 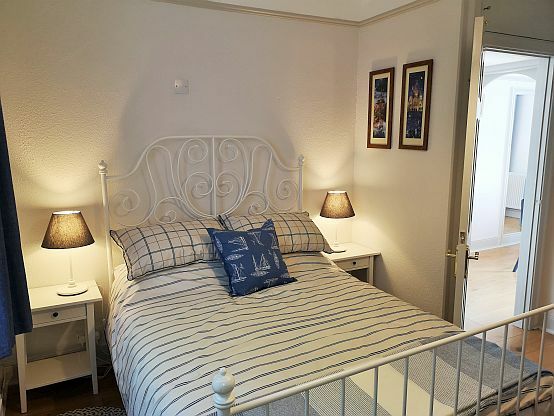 Bed linen, duvets and pillows are all included, to ensure that guests have everything they need for a comfortable night’s sleep. 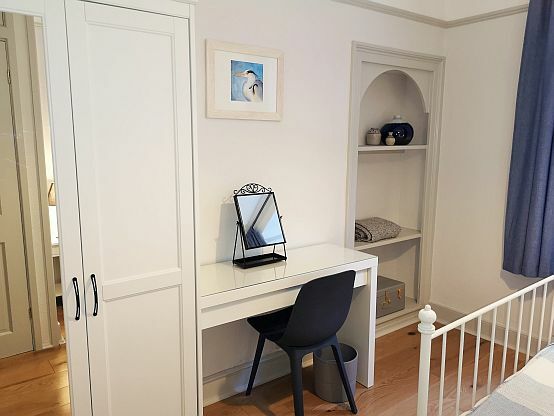 The bedroom is spacious with a wardrobe (and a good supply of wooden coat hangers), storage space, a freestanding dressing table and mirror, and hairdryer. 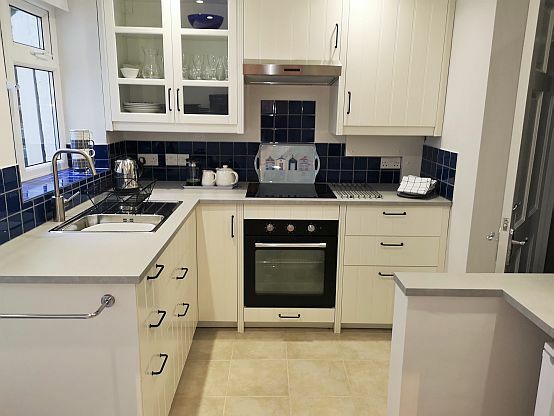 Newly fitted kitchen with tiled floor, complete with hob, oven, fridge and microwave. 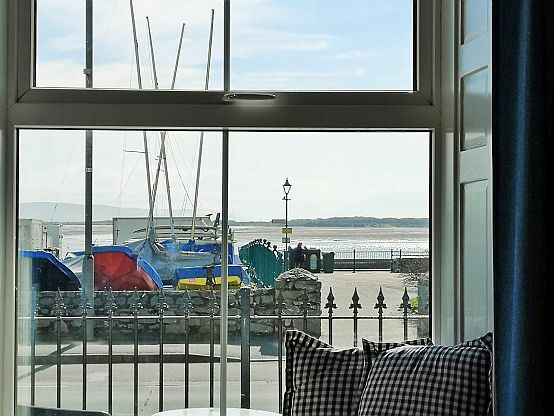 An abundance of crockery, utensils and glassware is provided so that guests can prepare meals and enjoy dining in the lounge with wonderful Aberdovey sea and estuary views. 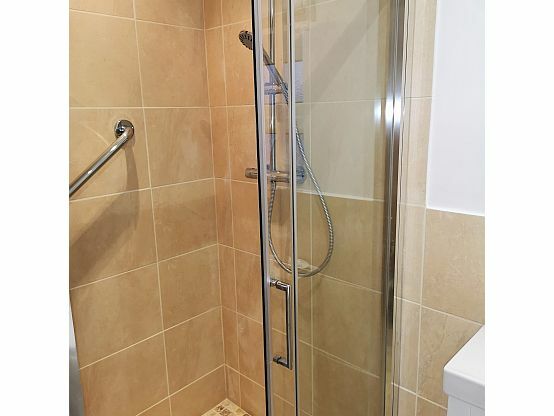 The ground floor bathroom with tiled floor, is at the rear of the property, and boasts a spacious enclosed shower area, with overhead rainfall shower and hand held shower. 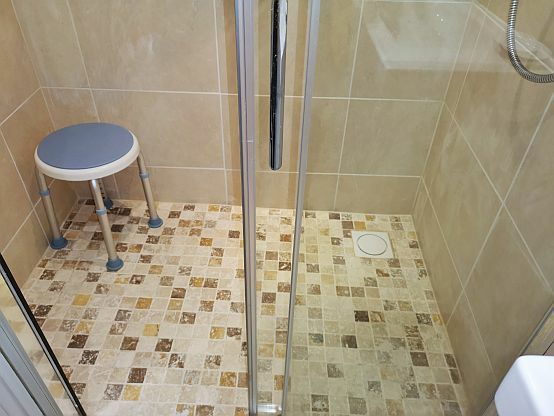 A height adjustable bath stool is provided for any guests who need seating in the shower. 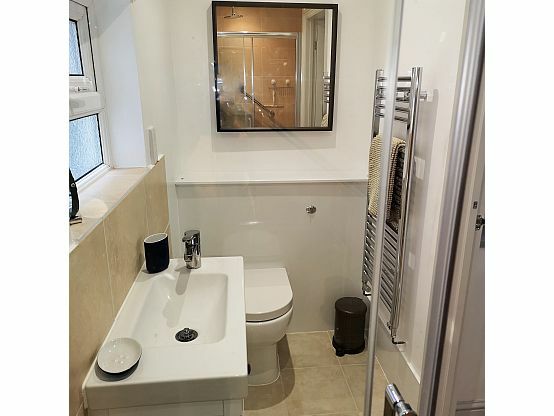 White vanity unit, wash hand basin with mono-bloc mixer tap and low level W.C. 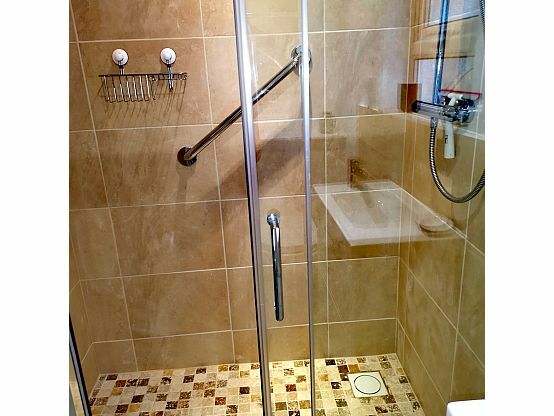 The heated towel rail is perfect for warming fluffy towels, ready for use after relaxing under the rainfall shower. 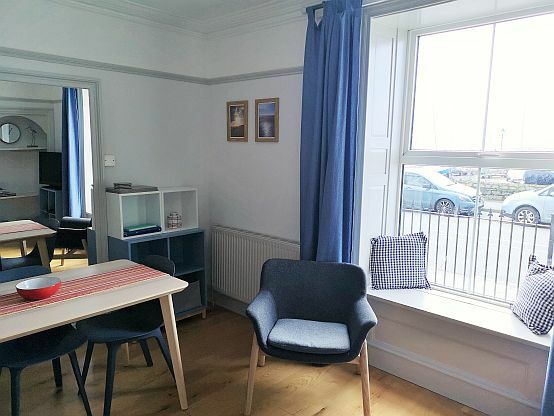 Outside space is offered by way of a private seafront terrace which comes complete with a small table and chairs, and is for sole use by Otago 1 guests. 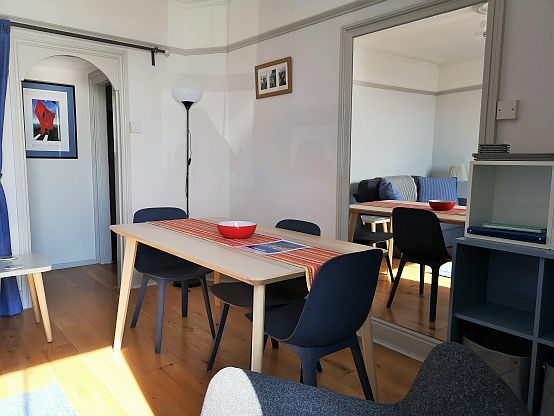 There is also a rear courtyard for the exclusive use of all Otago 1 guests, accessed either via the kitchen or a side entrance, providing step free access. 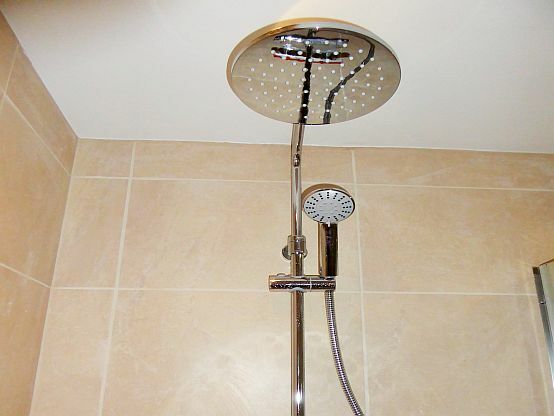 More information on this can be provided upon request when booking. 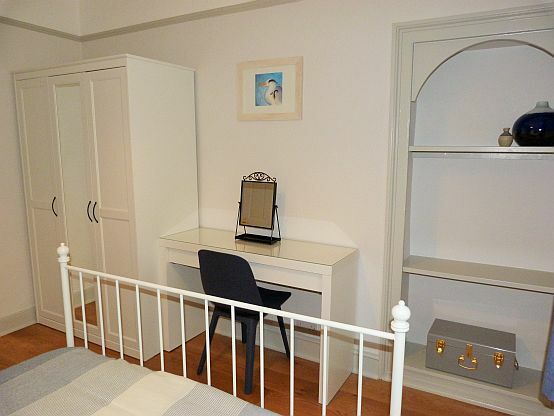 Gas central heating provided throughout, with radiators in all rooms. 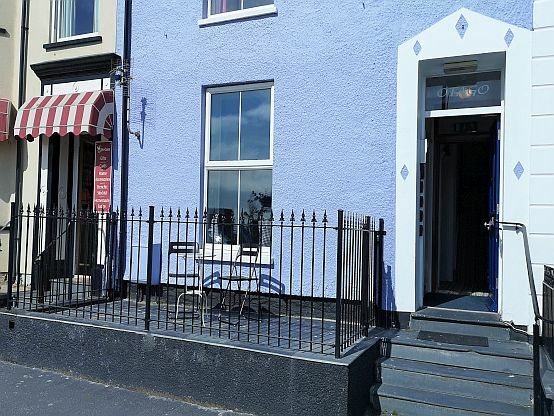 Wi-Fi and one car parking permit for use on the car park opposite also included. Otago 1 Aberdovey welcomes one small well-behaved dog at extra cost. 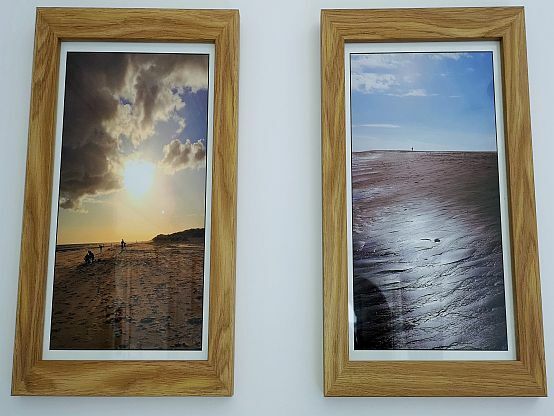 If you would like to bring your pet with you on holiday, simply tell us at the time of booking, or add your pet at the bookable extra stage when booking online. 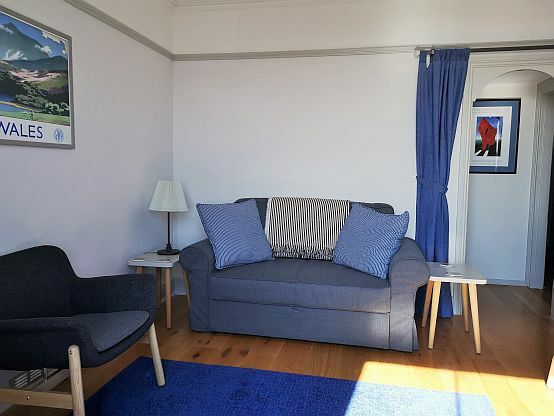 Otago 1 offers weekly bookings throughout the year, with short breaks available to either book online, or upon request, during mid and low season, and also at late availability. 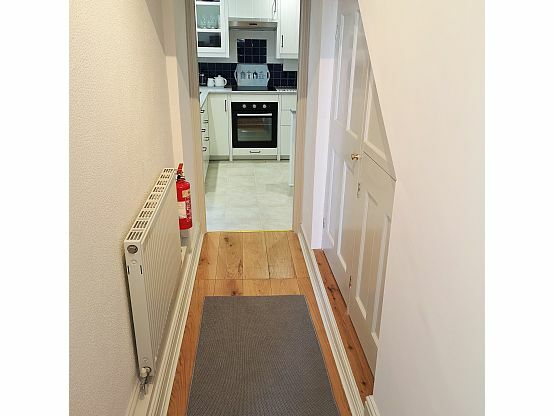 New Fitted Kitchen, Fridge, Oven/Hob etc.. 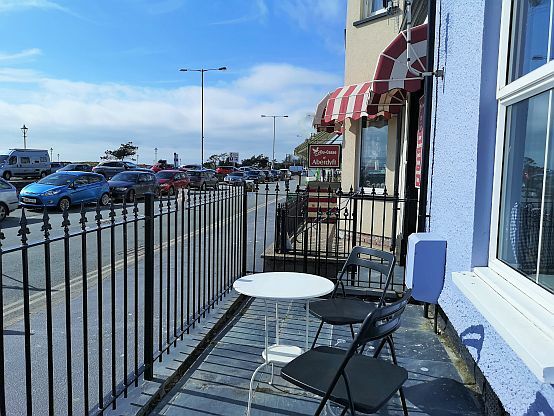 If you can’t find a holiday date range that suit’s you for this accommodation please search all of our 13 sea view holiday options in Aberdovey.